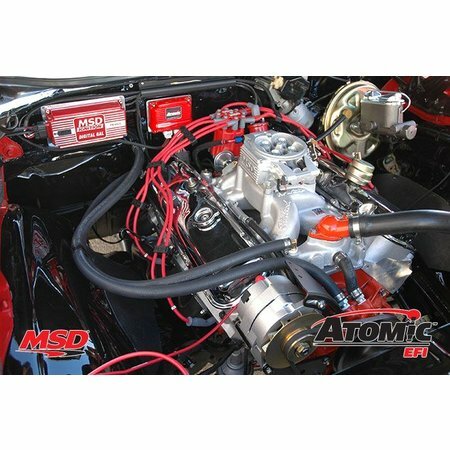 The Atomic system is based on an easy-to-install throttle body design that will provide modern drivability benefits to street rods and muscle cars – anything with a carburetor. 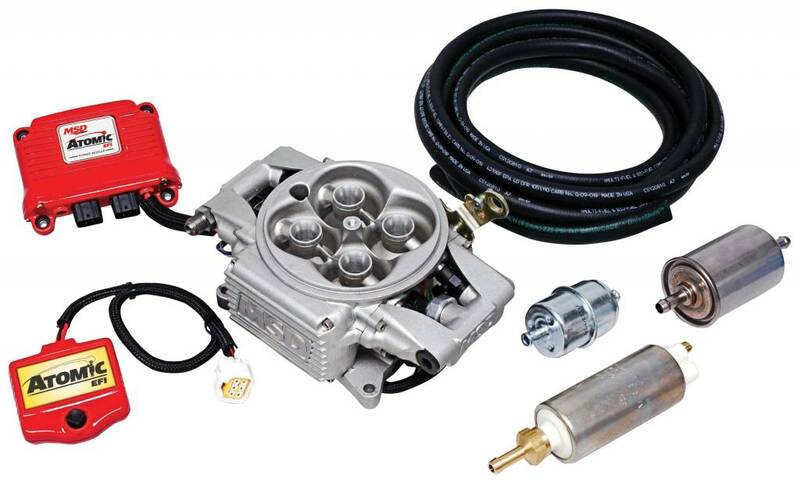 It’s meant to replace a standard square bore carburetor and can be installed by the average car guy and a friend in a home garage with simple tools within a weekend. In fact, with a little preparation, you should be able to start Saturday morning and make the cruise that night! 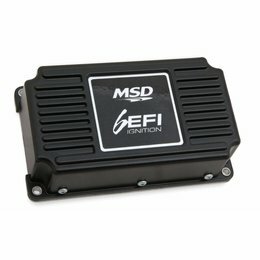 We wanted to make EFI easy which means less wiring, self learning technology and a return less fuel system. 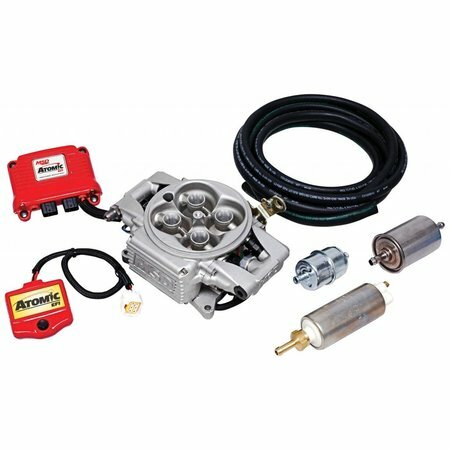 This means you can incorporate the factory fuel line in most applications and you don’t have to modify the tank or sending unit with a second line. Plus, the system is self learning and measures pressure and temperature so that once it is installed it’s done. No lap top is needed for programming as everything is done through a simple hand-held monitor. Only 8 wires you will need to connect, plus you can control timing too!